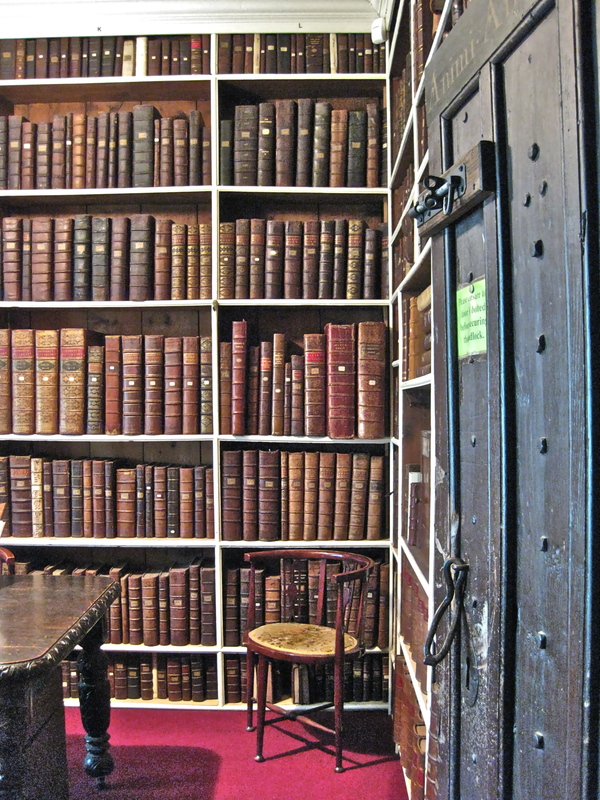 The Cranston Library, founded on 14 March 1701, is situated in a small chamber above the vestry in the parish church of St Mary Magdalene, Reigate, Surrey. It was the first public lending library in England and it contains works of literature, history, geography, science, classics and theology. There are over two thousand books in the library, mainly dating from the seventeenth and eighteenth centuries. There are also a number of pamphlets and maps. The library was once known as Reigate Public Library but is now named after its founder, Andrew Cranston. The library promotes an annual Cranston Lecture – click here for details of previous and forthcoming lectures. The library is not normally open to the public except on specific occasions – follow this link for the next open days. Visits may be organised at other times by prior arrangement with the trustees on cranstonlibrary@gmail.com.